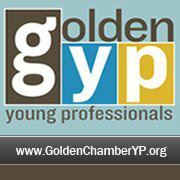 The Golden Young Professionals are a membership organization for up-and-coming professionals, ages 21-40, dedicated to building a better Golden. Join us at our next monthly meeting! Guests are always welcome and the coffee is always hot! Our meeting occurs the 3rd Thursday of every month at 7:30 a.m. There is no charge to be a part of this group. Join us!